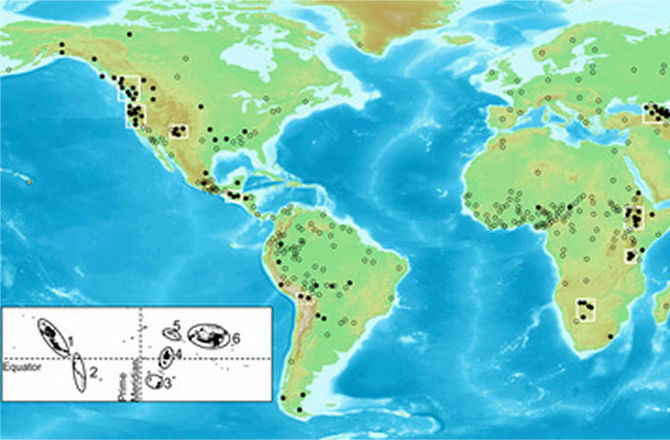 The sounds of different languages may have been shaped by the geography of the places where they are spoken, according to research published June 5 in the open access journal PLOS ONE by Caleb Everett from the University of Miami. Everett compared the sounds used in about 600 languages across the world with the regions they were commonly spoken, and found a strong correlation between high altitude and spoken languages that included consonant sounds produced with an intense burst of air, called ejective consonants. Ejectives are absent in the English language, but were found in languages spoken on, or near, five out of six major high altitude regions where people live. The artificial Na'vi language spoken in the movie Avatar also uses ejective consonants. The relationship is difficult to explain by other factors, says the author. "This is evidence that geography does influence phonology—the sound system of languages," explains Everett. "Ejectives are produced by creating a pocket of air in the pharynx then compressing it. Since air pressure decreases with altitude and it takes less effort to compress less dense air, I speculate that it's easier to produce these sounds at high altitude. The results of the study suggest that ecological factors may shape the structure of language in ways that have gone unrecognized."